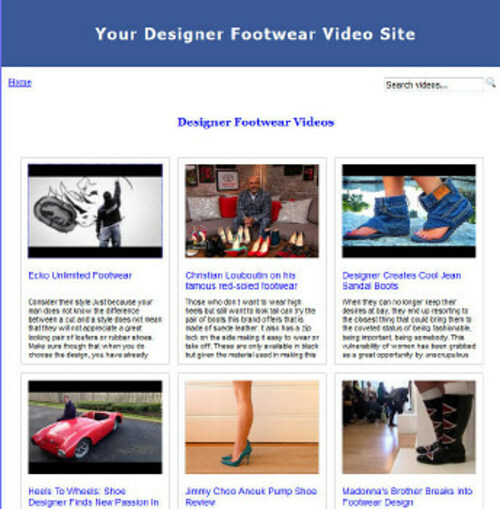 Designer Footwear Video Site Builder (MRR) - Download Misc. Header graphic automatically customized with your chosen text. Legal Notice: Google(TM) and Google AdSense(TM) are trademarks of Google Inc. Amazon(TM) is a trademark of https://www.tradebit.com Inc. We are not associated or affiliated with Google Inc. or https://www.tradebit.com Inc. This package is not endorsed by Google Inc. or https://www.tradebit.com Inc.